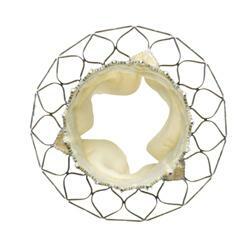 Medtronic, the makers and financial backers of a recent study on the Core Valve used for percutaneous aortic valve replacement (aka non-surgical valve replacement) released their findings showing the six month mortality data on patients receiving this valve. This study which was performed using data from European cardiologists (who have been using this technology longer) were unsurprising – with a higher risk of stroke and overall mortality. Notably, this study was performed on patients deemed to be ‘at high risk’ for surgery, not ineligible for surgery. As we’ve discussed before, the term ‘high risk’ is open to considerable interpretation. “ A total of 996 frail, elderly patients at high risk for heart surgery were implanted with Medtronic’s CoreValve device, used to treat severe narrowing of the aortic valve. Mortality rates at one month and six months were 4.5% and 12.8%, respectively. Stroke rates were 2.9% and 3.4%. Unfortunately, the general media’s coverage of these findings have been less than straightforward as Bloomberg proclaims in blazing headlines, “Edwards heart valve skirts rib-cracking for a 2.5 billion dollar market.” That’s a pretty eye-opening headline that manages to avoid mentioning the real issues – longevity and durability. Another article from business week proclaims, “Heart Valves found safe.” Safe, I guess is a relative term – if you aren’t one of the 12.8% that died within six months.. 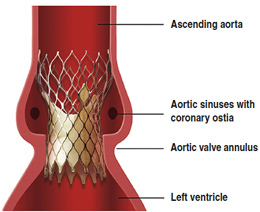 This entry was posted in TAVI / AVR and tagged aortic stenosis, aortic valve replacement, Cardiac surgery, cardiology, health and safety, information about core valve and non surgical valve replacement, interventional cardiology, mortality and strokes with core valve, stroke, The complete TAVI TAVR library. Bookmark the permalink. But these were frail elderly people. Was there a control group of frail elderly people who had nothing done or afrail elderly group that had the surgery? We know the outcomes for people who don’t have surgery – with critical AS. Outcomes depend on symptoms – (see some of my other posts on this topic.) We also know that surgical replacement demonstrate good outcomes/ durability with predictable mortality (we even have an on-line calculator) depending on co-morbid medical conditions such as heart function, renal function and lung function. Successful AVR is performed on people in their middle and uppers 80’s every single day. so yes, we know what happens to people who have no treatment, and people who have surgery. At present, TAVI is ONLY recommended for people who cannot withstand surgery – since it is riskier than surgery.